Here's what Stefan Bowers can't live without. Stefan Bowers, executive chef of San Antonio's Battalion, Feast, Rebelle and The St. Anthony Hotel, is a devoted cookbook reader and loves injecting new life into the old recipes he finds. 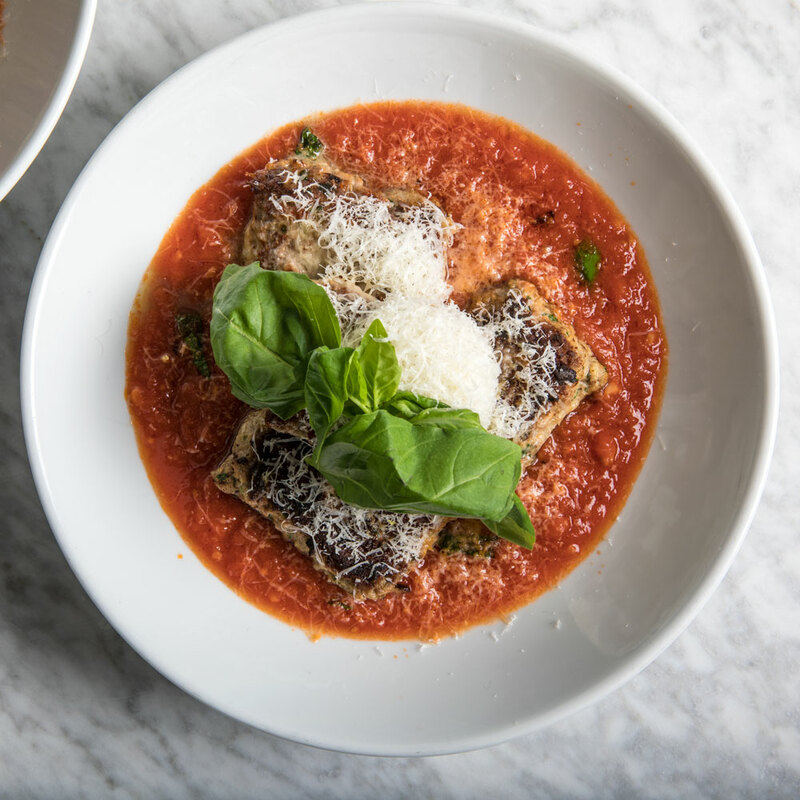 He shared his five kitchen essentials when he stopped by the F&W Test Kitchen this week to make his Square Meatballs with Pomodoro Sauce. "I cook with a six-quart enamel pot that used to belong to my mother-in-law, mostly because I love how temperamental it is," he says. "The pot burns everything on the bottom of it and you have to be extremely fastidious with it, but I cherish it anyway." While Bowers has two essential kitchen tools, both of them embrace the same simplicity he brings to his dishes. "I have a three-pronged fork that my great, great grandmother-in-law gave me that I use at home to cook, poke, flip and stab with," he explains. "In the restaurants, though, nothing beats a good, sturdy, Gray Kunz-style spoon. You can do everything from open a scallop with it to plating, saucing or flipping steaks even." Bowers has always loved cookbooks and started reading them to help pass the time during his Naval service. Amongst all of his favorites, though, a few writers stand out. "Any of Diana Kennedy or Deborah Madison's books are excellent," he says. "Edna Lewis is my favorite, though, and her chocolate cake is the best recipe of all time." Bowers' pantry staples serve two purposes, both of which keep different members of the family happy. "My wife and I always have bourbon well-stocked, especially Basil Hayden’s," he explains. "We also always have Kraft Macaroni and Cheese because we have an eight and 10-year-old." "I always keep good, epicurean butter stocked in the fridge because I’m a real butter fanatic," he says. "At any time, I'll usually have Irish butter, French butter or high-fat baker’s butter available."